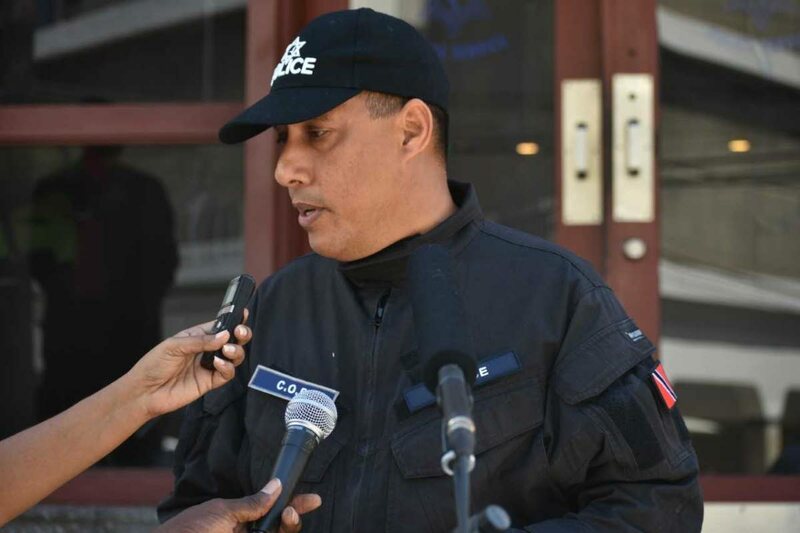 PROMOTIONS and the issuance of non-lethal weapons to officers in the field were among the topics discussed during a meeting between Commissioner of Police Gary Griffith and members of the Police Service Social and Welfare Association yesterday. The meeting was held at the Police Administration Building on Sackville Street, Port of Spain. According to a release by the Police Service yesterday, Griffith met president of the association Insp Michael Seales, vice president Snr Supt Richard Corbett, asst secretary Cpl Cynthia Trim and First Division officers representative ASP Wayne Mohammed. Among the topics discussed were promotions within the ranks of the First and Second Divisions, introduction of pepper spray and tasers, implementation of body-worn cameras and the development of the safety and security operational plans for the upcoming Christmas period and Carnival 2019. Griffith described the meeting as positive and expressed his willingness to work with the association and the public for the good of the national community. Reply to "Body cams, promotions, non-lethal weapons"